Replacing the brake pads is one such process which every driver needs to be familiar with. If your brake pads seem to have worn out and your car makes a squealing sound, it is about time that you change the brake pads because there is no way you can afford to fiddle with the brakes. IMPORTANT: This is just a general walkthrough of the brake pad replacement process. You will very likely need to consult the user manual for your specific vehicle in order to complete the process without damaging your vehicle. Another great option is to have a skilled mechanic look over your work. This is the reason we are going to familiarize you with the brake repair and pad replacement details so you can grasp the specifics of it. Before you get into the details, it is important to have a snapshot of the main materials and tools which will be needed for you to perform the replacement of brake pads. So, before we proceed to the steps, try and ensure that you have all the tools handy right beside you. 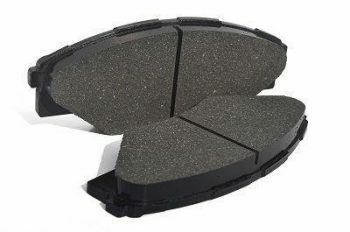 This will make it a lot easier to carry out the rest of the brake pad replacement process with ease. So, are you all set to get started? Let’s go! When you park your car on a level surface, set the brakes. Now, you should take some wood chunks and place them before and after one of the rear tires of your car. You need to repeat the process for the front tire as well if you want to change the rear brake pads. This step is important because it ensures that the vehicle will stay in the fixed position where it is even when you carry out the recovery process. The next step in the process is to loosen the lugs of the vehicle. You need to loosen them in such a way that they can spin easily and then you should make use of the car jack so as to elevate the wheel to a higher position. You should ensure that the tire doesn’t touch the surface of the ground. Now, slowly lower down the car on the stand. It is important to note that this is a very crucial step because if you use any other part of the vehicle for lifting it up, it might incur substantial damage to the vehicle and this is the kind of situation best avoided. When you are done setting the car on the stand, make it a point to double check that the car seems to have been fixed appropriately. Further, there should be sufficient space between the tire of the vehicle and the ground surface so that you can work easily and avoid any unwanted mishaps. When you have removed the wheel, the first thing which should come to your notice has to be the rotor or disc. Located right behind the wheel, you will find the shiny and circular there. Please note that you shouldn’t directly touch the rotor and the caliper. It is important to feel the backside of the caliper first. You will find that there are two bolts there which are meant one for either end. Now, you should pick an appropriate wrench and use it for loosening the bolt present on the clipper. When you have removed the clipper which is attached to the disc, you will have to use the wire to support the whole thing and take care to ensure that no pressure is put on the line. When you are working on replacing the brake pads on the rear wheels, you have to make sure that the parking brake isn’t set because the presence of any kind of pressure on the parking brakes will prevent you from removing the caliper. Now, you need to examine the positioning of the pads and the way they are mounted as this will help you understand the right process of dis-mounting it. Here you should make use of the C clamp and with its help, you can compress the piston in the caliper. Doing this will give you ample room to fit the new pads. If space permits, you can leave the older pads in as they protect the piston and even enhance the surface area of pressure application. Use a brush to clean the area near the brake caliper to avoid friction or other damage. For better efficiency, you should use a brake component lubricant to the sides of the pad. Now, slowly slide the pads in the clipper and make sure to minimize the contact with the pad’s friction surface as much as you possibly can. Now, you simply need to reassemble all that you had dismantled and get the car off the stand and on to the level surface again as it is ready to use and run! So, isn’t the whole process really simple? However, a word of caution here is that you should not try to change the brake pads if it is the brake rotors which seem to be faulty. The rotors require more complex attention and should be fixed at the earliest to avoid any kind of serious accident on the road. Despite the simple steps, we want you to do it only if you are really sure about the whole process. Do not do things with little knowledge because brakes are essential for the safety of a person and it is the last thing which you want to fiddle with. That being said, brake repair or changing brake pads isn’t rocket science and can be learned easily. We hope this guide helps you at least understand the process a little bit better. 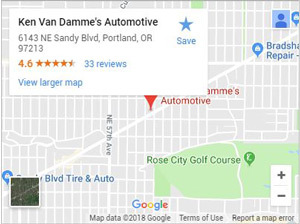 If you’re in the Portland area and need any brake work done, come on down to Ken Van Damme’s Automotive.